As some of you may know, it’s been a long while since I’ve had babies in my home. My first child was born in 2008, and back then video monitors were not the norm. Lots of people had them, but certainly not everyone. Over the years between my two kids I used a few different monitors, but it got me thinking, what’s out there now? Surely camera technology has shifted and improved measurably since the early aughts. It occurred to my team and I to reach out to a handful of video monitor companies and ask them if we could test out their cameras in exchange for a review. I’m also always trying to keep my favorites lists up to date! Rachel, who currently has two littles in her household, tested them out and below are her thoughts on each camera we tested. Take it away, Rachel!! Trying out these monitors was such a cool project as budget has always been my biggest hindrance and determining factor in picking out a monitor for my kids. So THANK YOU to the companies who sent us their monitors to try, and be able to experience hands-on to write about. Before launching into my analysis of the monitors, one thing I want to discuss is the cord and plug factor to baby monitors. As soon as my children are physically able to and “discover” their camera, they delight in pulling on the cords and unplugging the camera from the wall socket. This, as you can imagine, is kinda frustrating. There is only one monitor on this list that comes equipped to handle this scenario – genius. I know there are “cord protectors” and “socket protectors” on the market, and so I highly suggest looking into those in addition to whatever monitor you end up choosing, as this has inevitably become an annoyance with all of my monitor experiences. The first monitor I ever bought was the Infant Optics DXR-5 in 2015. I bought it because it was within my budget, one of my best friends had it (so I saw it in action when I visited her), and she loved it because it had a feature that turned the monitor off when baby was quiet and still, and would turn back on when baby stirred – alerting her to pay attention. I actually never really used that feature because I learned that I liked to be able to quickly look at the monitor whenever I wanted and not have to turn it back on again should it have gone into sleep mode. I bought a second DXR-5 when my daughter was born for sake of ease. At the time my son was born, I was also working full time with a company I had been with for 5+ years that typically offered a baby gift to their executives. I asked for a NestCam on the recommendation of Natalie (no brainer there), and since the price point was too high for me personally, I knew this was my chance. I had been using both the DXR-5 and Nest Cam all the way up until I started these camera trials, and so I included my assessment of them below alongside the other monitors. Durability and transportability: The camera and monitor are incredibly lightweight and plastic – which initially worried me about the durability. However, these puppies went everywhere with us because they don’t rely on wi-fi and have a surprisingly long range (very helpful when my husband and I wanted to go sit in the hot tub at a hotel while baby snoozed!) The major downside? Around the one-year mark (on both monitors I bought), the picture quality just disintegrates. Meaning the image starts to look “whited out” and fuzzy. Sometimes when you re-start the monitor it goes back to normal, but after 18+ months fuzzy was permanent. Video and sound quality: The camera is made to just film your child’s crib or bed and not give you a full-room view. This is fine when your baby is young and not climbing out yet! But as soon as baby is fleeing their bed, you become “blind” which is a very worrisome feeling. Initially the video and sound quality is good. See above for the degradation of video quality after 12 months. The sound quality remained consistent. Other features: The primary reason I bought a second DXR-5 is because there is a toggling button that allows you to jump between your children’s rooms/cameras. It would have been nice to see both rooms at the same time on my monitor because choosing which child to watch made me feel like a bad parent (ha). Outside of this, this is a very basic monitor so you are getting what you pay for. Durability and transportability: This camera has been dropped more times than I would like to admit, and it’s still going strong! Mind you it was always dropped on carpeted floors, thank goodness, but still. As far as taking it on-the-go, we have never successfully used this camera anywhere but home. Hotel wifis are never strong enough to make a successful connection, and for some reason we never figured it out on our friends’ wifis either. This was a big bummer as the video quality is fantastic and we would have loved to be able to utilize the full-room view on our trips. Video and sound quality: As mentioned above, the sound and video quality is great. NestCams are typically home security cameras, so using it in your kid’s room is next level awesome. Other features: This is one of the cameras that has an app so you can watch on-the-go! I really wanted this to be my main camera when my firstborn was being sleep trained (and after) since it enabled me to go out on a date and STILL check on my son’s sleep, but the delay from when I would open the app, click on the video, and then watch the livestream seemed like eternity. Plus there’s a 5-10 second delay on the action, so I could never see what’s going on right this second, which became more and more critical as soon as my son started climbing out of his bed. I could not use this camera as my sleep training camera because the app will not stay on/open once you exit it. So if I wanted to use it as my go-to monitor, then my phone was out of commission and the battery life paid the price. Durability and transportability: This camera reminded me of my Infant Optics DXR-5 in terms of its weight and feel. I flew to Portland and back home to Reno with it in my suitcase and had no problems. Video and sound quality: Good! Other features: The most exciting feature of this camera is the real-time breathing monitoring. Admittedly, I had a lot of problems setting this camera up and connecting it to my wifi. So when I flew to Portland to review this camera (sans baby), our Baby Sleep Trainer tech genius helped me get it hooked up and turned on. Durability and transportability: This camera reminds me of BB-8 from Star Wars, and I’m into that lol. I took this camera with me to Portland and back in my luggage, and on a roadtrip to L.A. in a flimsy bag and it was totally fine. I could not get it to synch to the wifi though at my Airbnb in L.A. which was a big bummer as my husband and I had to leave the kids for a wedding, and couldn’t check in/corroborate stories with Grandma at home with the kids. This seems to be a running trend/issue with most wifi enabled cameras I’m realizing. However, the biggest issue I had with this camera is the shape and stand. This is not a wall-mountable camera. It sits on a base that has to then sit on a flat surface somewhere. We recently moved into our home and are woefully under-furnished, so I do not have a tall enough piece of stable furniture to set this camera atop. Instead it sits on my daughter’s old sidecar-style bassinet atop a pile of clothes and boxes so I could get the height tall enough to see into her bed. The upside of this, is that this camera has become my go-to traveling camera because it’s not mounted on a wall and can easily be unplugged and transported. Other features: This camera had a super easy set up – the easiest of the bunch we tried. I appreciated that a lot! This camera has a connected app as well. I like the temperature and humidity feature (which seems to come with all of the recent cameras). The camera angle can also be moved remotely by the swipe of your finger in the app – this is very helpful and cool. 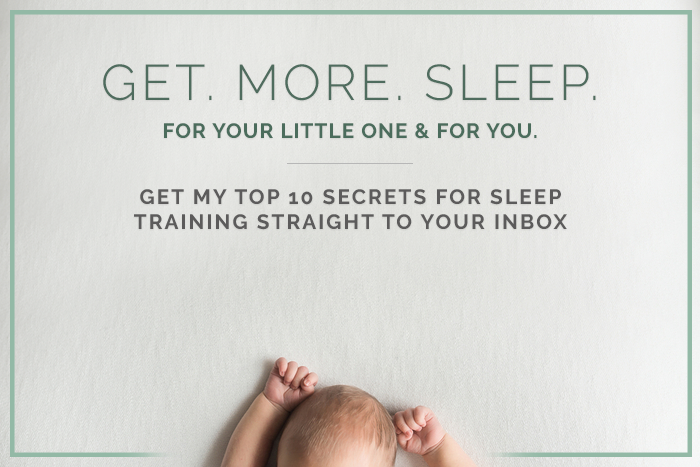 You can also easily take pictures of your baby sleeping and pass it around to your adoring friends should that float your boat. And another very helpful feature is that you can continue to listen to your baby through the app even when you’re out of the app – so your phone becomes a sound monitor, basically. Durability and transportability: This camera looks and feels like the Rolls Royce of baby monitors. The quality is apparent straight out of the box. This is a camera you mount to your wall and don’t touch again. This is the only camera that provides you with a cord cover (again, genius). So I’m sure with those two elements in place – immobility and protective covering – this camera will definitely stand the test of time. It’s just not going on trips with me anywhere. Video and sound quality: Fantastic! Other features: The distinguishing feature of this camera is it’s connected app that comes with “Nanit Insights,” regarding your baby’s sleep (if you purchase them, which I did not). It will tell you when baby fell asleep/how long it took them to fall asleep, and you can watch a highlight reel the next morning to see all the big moments of the night you hopefully slept through. I did not upgrade as my baby is already sleep trained with the Baby Sleep Trainer method, and I kind of wished there was just a free trial period to check it out before committing. Other features: you can select to just listen to the baby through the app/while you’re out of the app. You can turn a little parental “nightlight” on (that beams up to the ceiling from the top of the camera) so you can tip toe around baby’s room less blindly. And it does temperature, humidity, and quick pics when your heart desires. I, honestly, would be (and still am) perfectly happy with any of the three new cameras I tried: Cocoon Cam, iBaby Care m7 Lite, or Nanit Cam. 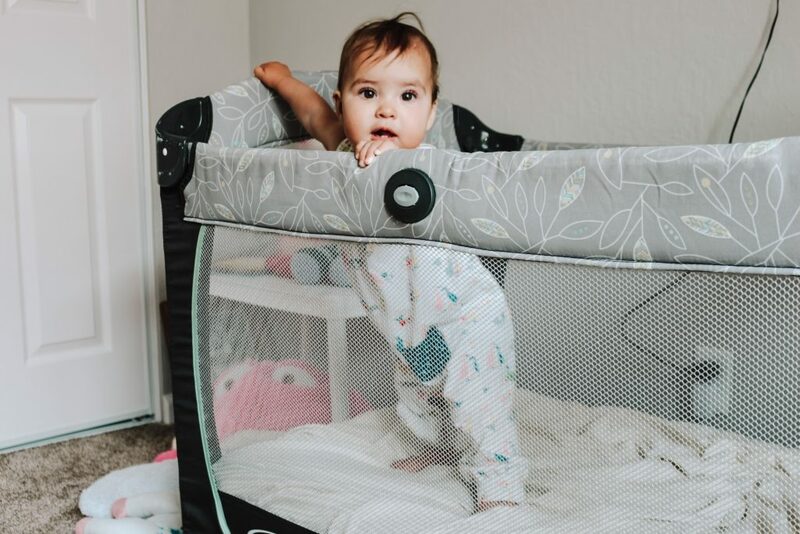 All three monitors have things that I love – so if I had to choose – I would stick with the iBaby Care m7 Lite as my travel camera, and the Nanit Cam as my permanent at-home camera. I still wish there was a camera that A) easily synched to other wifis when traveling, B) that all monitors were wall-mountable, and C) that they all came with cord protectors – but again, these three cameras are super solid options depending on what you’re looking to get out of your monitor.